For example, you may want to have a Facebook filter to separate all your notifications from your everyday emails. You could also do this for newsletter subscriptions Clear Out Your Inbox: Quickly Unsubscribe From Multiple Newsletters With These Tools Clear Out Your Inbox: Quickly Unsubscribe From Multiple Newsletters With These Tools Unsubscribing from newsletters is about more than just spam. Most of the newsletters that fill our inbox are not selling medicine or offering prize money – they’re genuine newsletters from trusted companies we ourselves subscribed... Read More , messages from family members, or emails related to work. It’s also a great tool to automatically trash or mark certain emails as spam Still Getting Spam? 4 Email Mistakes to Avoid Today Still Getting Spam? 4 Email Mistakes to Avoid Today Avoiding spam is impossible. But there are some lesser known tips, tricks, and secrets that can help you fight the battle against suspicious email. Read More . As you can see, there are a lot of advantages for filtering your emails. We will show you how to set up email filters to automatically sort your emails in Gmail, Yahoo Mail, and Outlook. The first thing to point out is that Gmail does not use the tradition “folder” structure. Gmail uses “labels”, but they are pretty much the same thing, it just has a different name. To get started with creating Gmail filters 6 Impressive Gmail Tools You Might Have Missed 6 Impressive Gmail Tools You Might Have Missed These are the smartest Gmail tools around. Gmail has been around for more than a decade. It's already good, but there are plenty of tools to make email even better for you. Read More , open your inbox and click on the little arrow icon on the right side of the search bar. This opens up the advanced search box, allowing you to specify several attributes of the email you’re looking for. You’ll notice in the bottom-right corner of this window, there’s a link that says Create filter with this search. We just need to specify the criteria, then we have our filter! Enter an email address in the From field to apply the filter to messages from that address. The * character is a wildcard, so you can enter *@domain.com to filter all messages from a specific domain. The To field pairs nicely with Gmail aliases Divide & Conquer Your Email With The Power of Gmail Aliases Divide & Conquer Your Email With The Power of Gmail Aliases When it comes to email organization, the immediate reaction is often all about folders, tags, filters, priority marks, and things of that sort. Not that any of those are bad - in fact, most of... Read More . You can add a + after your address and create unlimited alias addresses that all go straight to your inbox. So, if you signed up for LinkedIn with John+LinkedIn@gmail.com and know that you don’t want any messages from LinkedIn, you can filter messages sent to that address. The Subject field allows you to filter any message containing certain words in the subject. Has the words and Doesn’t have allow you to scan the email for any words you’d like. You can use Google’s operator words 5 Advanced Gmail Search Operators You Should Know 5 Advanced Gmail Search Operators You Should Know Gmail is an ingenious webmail client with many awesome features. Being a Google service, one of its strengths obviously is Search. And this is exactly how Google revolutionized email. In Gmail you don't really have... Read More here, like AND or OR, to look for multiple words. For instance, let’s say you want to create a filter for all messages with unsubscribe in the message, but don’t want your bank’s emails to be affected. You could enter First AND Bank in the Doesn’t have to exclude results that contain these words. If you want to look only for emails with an attachment, check the Has attachment box. Those who often chat with Hangouts in Gmail will probably want to check Doesn’t include chats to cut down on the noise from those. Finally, if you like, you can specify a size that the message is greater or less than, or find only emails close to a certain date. Once you have selected your criteria, you can click the search icon to apply them to your inbox to make sure it’s correct. Click the create filter link at the bottom to move to the next step. Here, you’ll need to decide what happens to email that hits this filter. If you’re trying to keep a clean inbox 5 Action Steps for Curing Your Inbox Zero Email Frenzy 5 Action Steps for Curing Your Inbox Zero Email Frenzy Inbox Zero is one of the most popular buzz words. To truly solve your email issues you need to go beyond Inbox Zero and address the underlying problems. Read More , choosing Skip the Inbox (Archive it) is probably a good first step. Paired with this, you can add a star, attach a label so you know what to do with that message later, or mark it as important. When you’re done, check the Also apply filter to matching conversations if you want this filter to apply to existing mail as well as future messages. Clicking Create filter will complete the process! You can review or edit your existing filters at any time. Head to the Settings gear icon in the top-right, then choose Settings. Click the Filters and Blocked Addresses tab to see them all and make changes if needed. Gmail also provides an export feature, so you can send your filters to a file to share. Having trouble thinking of a good filter idea? Gmail can help with that. Tick the check box next to any message, then go to More > Filter messages like these. This will launch the filter window as before, but with some fields pre-filled based on the message you selected. Failing that, have a look at annoying email problems you can solve with filters 10 Email Problems You Can Solve with Gmail Filters 10 Email Problems You Can Solve with Gmail Filters An overflowing inbox driving you crazy? Do you want to through your inbox faster than ever? Try some of these brilliant Gmail filters to see the difference. 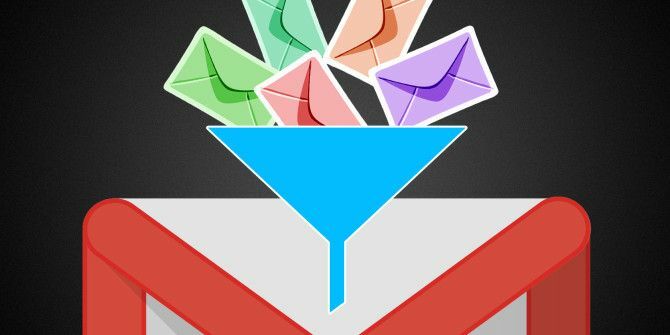 Read More , or how to cut down on email overload using filters 10 Email Problems You Can Solve with Gmail Filters 10 Email Problems You Can Solve with Gmail Filters An overflowing inbox driving you crazy? Do you want to through your inbox faster than ever? Try some of these brilliant Gmail filters to see the difference. Read More . Yahoo Mail has come into some issues lately, after Reuters reported that they have been spying on emails for the NSA Yahoo Has Been Spying on Your Emails for the NSA Yahoo Has Been Spying on Your Emails for the NSA If you have a Yahoo Mail account, Yahoo has been scanning all of your emails to help U.S. intelligence agencies. Which is nice of them. Read More . In what can’t be a coincidence, Yahoo also “temporarily disabled” the ability to forward emails Yahoo Mail Stops You Forwarding Your Emails Yahoo Mail Stops You Forwarding Your Emails Yahoo Mail has "temporarily disabled" the ability for users to forward their emails onto a different address. Which is suspicious, given everything that's happened of late. Read More to another address for those who wanted to jump ship after this breach of privacy. If these concerns don’t spur you on to drop Yahoo Mail, here’s how you can set up some filters. Open your Yahoo email inbox, then click the gear icon in the top-right and choose Settings. Select the Filters tab on the left, then Add a new one. You’ll probably notice that there’s not quite as much filter functionality as in Gmail — you have four fields to customize. These are From, To/CC, Subject, and Body. The categories act as they do in Gmail, but for each one, you can choose to filter email that contains, does not contain, begins with, or ends with selected words. You also have the ability to match cases, which could be handy if you’re looking to filter all-caps acronyms 30 Trendy Internet Slang Words and Acronyms You Need to Know to Fit In 30 Trendy Internet Slang Words and Acronyms You Need to Know to Fit In The internet is constantly evolving, making it difficult to keep up. Here are some trendy internet slang words you should know. Read More . Once you’ve completed the filters as desired, you can choose which folder to move the matching messages to. Yahoo also allows you to name filters, so you can quickly review them on the main Filters tab without knowing the details of each. Note that filters are applied in top-to-bottom order. Thus, when you’re back on that main tab, make sure that the most important filter is at the top, as that will take priority if a message falls under multiple filters. You can also edit or remove an existing filter from this page. That’s all you need to know for Yahoo filtering! Note that they have turned forwarding back on Yahoo Has Mail Forwarding Again: How to Turn It Back On Yahoo Has Mail Forwarding Again: How to Turn It Back On Mail forwarding is a nifty feature for many reasons -- one that wasn't available on Yahoo Mail for quite a while. But it's back! And here's how you can turn it on. Read More if you decide to leave the service. Hotmail is no more Hotmail Is Dead! Microsoft Outlook Email Services Explained Hotmail Is Dead! Microsoft Outlook Email Services Explained Stop searching for Hotmail! The terminology surrounding the various Microsoft Outlook email services is confusing. If you no longer know whether it's called Outlook web app, Outlook Online, or other, let us explain. Read More . 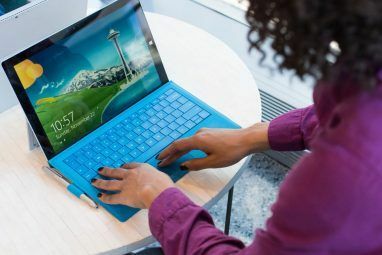 Microsoft has taken the Outlook brand that used to refer to the desktop program Microsoft Outlook Web Vs. Desktop: Which One Is Best for You? Microsoft Outlook Web Vs. Desktop: Which One Is Best for You? Outlook.com is a powerful online email client that comes free with Office Online. But can Outlook on the web compete with its desktop counterpart? Our Outlook comparison will help you decide for yourself. Read More and brought it to the web. If Outlook.com is your web email of choice, here’s how to set up filters. Open your Outlook inbox and click to select any message. Then, click the small three-dot menu on the right side of the top bar. On the resulting drop-down menu, choose Create rule… Like Yahoo, you’ll need to give the filter a name. The following fields fill automatically, based on the message you clicked earlier, but you can click the X icon to remove them and start fresh. My name is > the only recipient listed can catch emails that are only sent to you. Of course, this likely won’t catch newsletters Learn Something New With 10 Worth-It Email Newsletters Learn Something New With 10 Worth-It Email Newsletters You will be surprised at the quality of newsletters today. They are making a comeback. Subscribe to these ten fantastic newsletters and find out why. Read More . My name is > not in the To box would catch emails in which you were CCed or mass-emailed. It’s marked with > an importance or a sensitivity to catch messages using the sensitivity or priority levels specific to Outlook 6 Best Practices for Outlook to Boost Your Workflow 6 Best Practices for Outlook to Boost Your Workflow If you spend any serious amount of time using Outlook, you should investigate your workflow. Make your email work for you and save time for more important tasks. Read More . 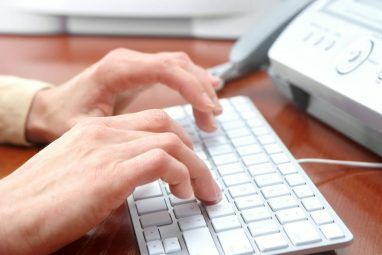 It’s > of the type gives a host of interesting options, like filtering automatic replies, read receipts, or encrypted messages How to Encrypt Your Gmail, Outlook, and Other Webmail How to Encrypt Your Gmail, Outlook, and Other Webmail Email accounts hold the keys to your personal information. Here's how to encrypt your Gmail, Outlook.com, and other mail accounts. Read More . Once you’ve set your conditions, you’ll need to choose one or more actions. You can choose to move (or copy) the message to a folder, or delete it. A neat choice is pinning the message, which will keep it at the top of your inbox for review. Marking the message with a certain importance is another useful action. Finally, Outlook lets you add exceptions using any of the earlier conditions. Thus, you can set up your entire filter but exclude messages from one person, or messages marked as important. The stop processing more rules check box should be checked if you don’t want messages that run through this filter to be affected by others. For example, if one filter pins all important messages, and a second filter deletes all messages with attachments, you would want to check this box so that Outlook doesn’t delete an important message with attachments. Now that you’ve got those filters set up, know that you can access your Outlook email from anywhere How to Access Your Microsoft Outlook Email From Any Platform How to Access Your Microsoft Outlook Email From Any Platform Here we have compiled all the ways, across multiple platforms, you can use to access your Microsoft Outlook email account. Read More ! Email filters are powerful tools you can use to fight against the onslaught of messages. Hopefully, you can already think of some awesome ways to apply them to improve your workflow. If you haven’t decided on a mail provider yet, and want to take full advantage of filters, you should probably avoid Yahoo. Based on this list, Outlook and Gmail offer far more functionality in filtering than Yahoo does. Want to go further with email? 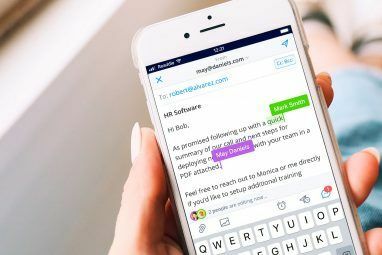 Rethink it and turn your emails into tasks instantly 9 Instant Ways to Turn Your Emails into Tasks 9 Instant Ways to Turn Your Emails into Tasks You can't stop to-do-type emails from ending up in your inbox, but you can turn them into tasks to manage them better. Here are some tips to turn emails into tasks. Read More . What filters do you use to manage your inbox? Is there another email provider with powerful filters that you prefer? Add your thoughts down in the comments to expand the list! Originally written by Jack Cola on May 28, 2010. Explore more about: Email Tips, Gmail, Hotmail, Microsoft Outlook, Yahoo Mail. I would like to learn to set up automatic replies when receiving resumes. I was on the hunt for some tips on How to Set Up Email Filters in Gmail, Yahoo Mail, and Outlook and found your site.I really like that you emphasize on How to Set Up Email Filters in Gmail, Yahoo Mail, and Outlook . Actually, I just want to put together an infographic about the same topic. Let me know if you want to check it out and if you like it you can further share it on your blog. Every store that I go to or every retail site that I shop online at always ask me for my email address to receive a discount and to receive special discounts and offers later. I’ve saved lots of money doing this but at the costs of my inbox being flooded with emails from retailers. Can I use filters to regain control of my inbox from retailers? If so, how do I do it and what should I name it? Any ideas would be greatly appreciated. I totally understand. What I would do is set up a filter using the above instructions for whichever service you use. Then, set it to filter emails that contain the word "unsubscribe" since marketing emails almost always contain that word. In Gmail, you can set the filter to have email skip the inbox (which keeps it out of your hair) and apply a label that you create, such as Newsletters or Advertisements. If that doesn't work for you, another great solution is to use Unroll.me. This service lets you "roll up" all of those automated emails into one daily digest that you can scan through instead of them clogging up your inbox all day. It's easy to use and configure. To keep your emails but remove them from the Forums group just remove the Forums label from the email. That will take them out of the Forums "folder" but they will still be in your inbox or wherever. I am working in Gmail and this work but it still leaves the emails in the forum section and if I delete them from there it also deletes the from the folder. How can I get them to move to the folder I created only. Thanks Nat. I know what you mean. You create all these folders for say for one of your jobs, then you change jobs so that folder isn't needed any more for when you are at your second job. I don't personally like deleting my email's, but if you are using Gmail, you can always hide them from not showing your your main view - which is good. That way you can still keep them, but they are not in the way. Just setting up filters in gmail to add labels is great. That way once you've read the email it's automatically archived into the right label/folder without having to do anything.